Currently viewing the tag: "outdoor activities"
The Boston Convention & Exhibition Center has added a one of a kind interactive outdoor space to its real estate on D Street in the South Boston Waterfront. The “Lawn on D” is now open to the public and styleboston was there to take part in the opening day festivities. 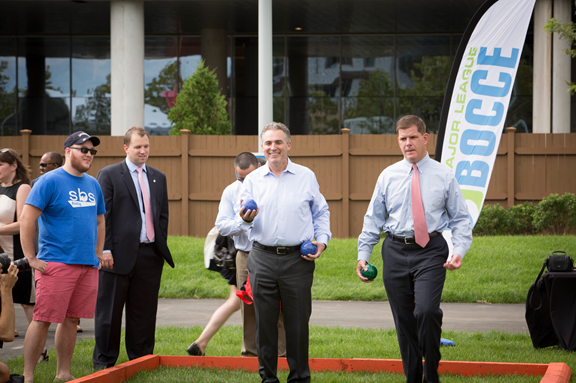 Mayor Marty Walsh and Executive Director Jim Rooney play bocce.